It’s Mueller Time. What about Bob? Attorney General Bill Barr? Trump after the Mueller report, collusion with Russia, obstruction of justice, no exoneration, sigh! Welcome to The Halli Casser-Jayne Show and our weekly political review with Halli and veteran White House correspondent Matthew Cooper the podcast posted at Halli Casser-Jayne dot com and on all your favorite apps. As always, Halli and Matt slice and dice the week’s political news. And what a week it has been. This week it’s Mueller time. Yep, finally America was able to get a look at the Mueller Report, sorta, a redacted version of what we’ve all been waiting for, for a very long time. Did Mueller do his job or was Donald Trump able to obstruct justice? Did Trump’s new Attorney General Barr serve the people as he is supposed to do, or is he acting as Trump’s personal counselor? Did the Russians hack our 2016 election? Was Mueller Time good news for Trump or bad news for Trump? A good day for the Dems or a bad day? What comes next? Impeachment? And then there’s Hillary Clinton. Welcome to The Halli Casser-Jayne Show and we’re just beginning. Halli and Matt get into the weeds and offer up some surprises when they take to the airwaves. It’s Mueller Time, collusion, conspiracy, obstruction of justice. Attorney General Barr as Trump’s personal counselor. What comes next? Only Nancy and Chuck know for sure. What a conversation. Do join journalists Halli Casser-Jayne and Matthew Cooper when they talk politics on The Halli Casser-Jayne Show the podcast posted at Halli Casser-Jayne dot comand on all your favorite apps. Donald Trump, The State of the Union, Governor Ralph Northam refuses to resign after a racist photo of him surfaces, Senator Cory Booker announces his campaign for president, Veronica Lake makes a television appearance….what? These topics and more in our political review with Halli and veteran White House correspondent Matthew Cooper, this week on The Halli Casser-Jayne Show the podcast posted at Halli Casser-Jayne dot com and on all your favorite apps. As always, Halli and Matt slice and dice the week’s political news. This week we begin with President Donald Trump’s State of the Union address: Trump’s crooked tie, Pelosi’s clap, a quack about Jared Kushner, when a wall by any other name is still a wall, when women rule and when Trump doesn’t get it, and from there we’re on to Ralph Northam and some fair questions raised about the Democratic Party. Will Mueller present his findings to Congress this month? Can Elizabeth Warren survive a presidential run? A word or two about the Democratic Party’s newest darling Stacey Abrams and that’s just where we begin. 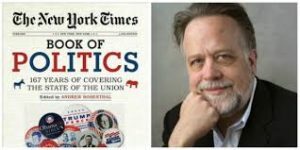 Kamala Harris, Donald Trump State of the Union, The Mueller Report, the latest presidential contenders — these stories and more when journalists Halli Casser-Jayne and Matthew Cooper talk politics on The Halli Casser-Jayne Show the podcast posted at Halli Casser-Jayne dot com and on all your favorite apps. Trump trades money for murder in the death of American resident, Washington Post reporter Jamal Khashoggi, the first daughter has an email problem and proves herself a titanic chip off the old block, the Trump virus spreads throughout the GOP, many who should be quarantined, including Sen. Marco Rubio are just some of the topics this week on The Halli Casser-Jayne Show when Halli and her partner in politics, veteran White House correspondent Matthew Cooper offer their fresh take on the week’s news, the podcast posted on all your favorite sites and apps, Wednesday, November 21, 3 pm ET and at Halli Casser-Jayne dot com. As we do every week, newsman Matthew Cooper joins Halli for their politics segment, PODCAST AMERICA, in which Matt and Halli slice and dice all things politics. And what a week it has been. The President of the United States stood up for Saudi Arabian values; the Dems took more seats in the House, officially making the Midterm elections 2018 a tsunami against Trump; The New York Times broke a huge story: ‘President Trump Wanted to Order Justice Department to Prosecute Comey and Clinton’ — if carried out an act that would have been a blatant abuse of power, as well might be Trump’s mere intent; in a surprise move Rep. Marcia Fudge (D-Ohio) endorsed Democratic leader Rep. Nancy Pelosi (D-Calif.) for Speaker in the next Congress abandoning the idea of challenging her; Sen. Lindsey Graham (R-S.C.), one of President Trump’s staunchest allies, warned the president on Tuesday that ignoring Saudi Arabia’s bad behavior would risk America’s moral leadership on the world stage; and, finally, and we really mean finally, Trump sent in his answers to Special Prosecutor Robert Mueller — just another week in the storied presidency of Donald J. Trump. Welcome to The Halli Casser-Jayne Show and we’re just beginning. 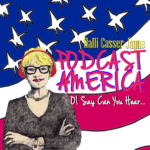 Trump trades money for murder, the Democrats penchant for shooting themselves in the foot, First daughter and White House advisor Ivanka Trump has an email problem, Nancy Pelosi again fighting off insurgents in the Democratic Party — join Halli and Matthew Cooper on The Halli Casser-Jayne Show, Wednesday, November 21, the podcast posted 3 pm ET at Halli Casser-Jayne dot com. A look at the quirks of American Presidents and a conversation about the Hollywood Blacklist and the making of the iconic Western HIGH NOON are the subjects of The Halli Casser-Jayne Show when the author of SECRET LIVES OF THE U.S. PRESIDENTS, Cormac O’Brien and Pulitzer Prize-winning journalist and author of HIGH NOON: THE HOLLYWOOD BLACKLIST AND THE MAKING OF AN AMERICAN CLASSIC Glenn Frankel join Halli at her table. Cormac McCarthy’s book SECRET LIVES OF THE U.S. PRESIDENTS: STRANGE STORIES AND SHOCKING TRIVIA FROM INSIDE THE WHITE HOUSE is a fun, informative, quirky compendium of historical trivia of our American presidents. Murder, adultery, gambling, UFOs the SECRET LIVES OF THE U.S. PRESIDENTS features outrageous and uncensored profiles of the men who have occupied the Oval Office in one of the hardest jobs in the world, our presidents at once revered and often reviled around the globe. In his new book HIGH NOON: THE HOLLYWOOD BLACKLIST AND THE MAKING OF AN AMERICAN CLASSIC Glenn Frankel explores the making of the western classic starring Gary Cooper and Grace Kelly, during the toxic political climate of the late 1940’s and 1950’s Hollywood Red Scare, the film written by Carl Foreman, a former Communist who intended the film to be a parable about the Hollywood blacklist. In fact, during filming, Foreman was forced to testify before the House Committee on Un-American Activities about his former membership in the Communist Party. Weaving together the stories of some of Hollywood’s most talented writers and producers — Carl Foreman, Stanley Kramer, Fred Zinneman and Cooper himself – HIGH NOON is at once Hollywood history, scholarly insight, and wonderfully dishy — in a word, fascinating. Strange stories and shocking trivia from inside the White House with Cormac O’Brien and the making of the classic Western HIGH NOON in the toxic political climate of the 1950s on The Halli Casser-Jayne Show. 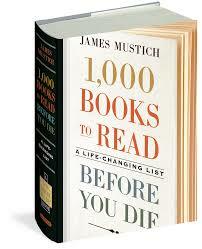 For more information visit Halli Casser-Jayne dot com. In the opening of her brand, new politics show, ONE BROAD TALKING, the respected host of The Halli Casser-Jayne Show proclaims her declaration of Independence. She says, “We hold these truths to be self-evident, that all people are created equal, that they are endowed with certain unalienable Rights that among these are Life, Liberty, the pursuit of Happiness and the BLOOD SPORT OF POLITICS.” Now comes the second installment, a show you won’t want to miss. The author of the celebrated book A YEAR IN MY PAJAMAS WITH PRESIDENT OBAMA, and the writer of the bi-weekly fun, irreverent political column INSIDE THE HOPPER, Halli has long been commentating in the way only she can on all things politics. Throughout her professional career, Halli has worn many hats: reporter and photographer; actress and documentary producer; radio personality; author, editor and publisher. Her many accomplishments include writing and producing the six-hour rockumentary on The Doors as well as collaborating with Doors drummer John Densmore on his autobiography Riders on the Storm. She is the author and photographer of STILL LIFE: IMAGES OF ANTIETAM. As a foreign correspondent during the 1980s, Halli showed her fearlessness when she reported in the danger zones of war-torn Central America. Her frankness and feistiness have been expressed via her opinions and commentary on The Halli Casser-Jayne blog. As for fun and entertaining, Halli has hosted and interviewed a wide variety of distinguished guests from New York Times bestselling author Kristin Hannah to Newsweek’s political director Matthew Cooper, social critic and political activist Naomi Wolf, legendary comic, writer, producer Carl Reiner, and three time Academy Award nominee actress Diane Ladd on The Halli Casser-Jayne Show. She will continue to host The Halli Casser-Jayne Show, the podcast posting new shows, Wednesdays, 3 pm ET at Halli Casser-Jayne dot com. 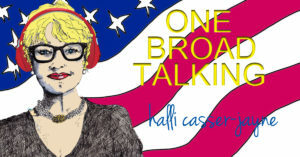 For more information on One Broad Talking and The Halli Casser-Jayne Show visit Halli Casser-Jayne dot com. 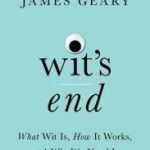 It’s politics and all things Election 2016, Wednesday, June 29th when joining Halli at her table on The Halli Casser-Jayne Show is the author of the most talked about book of the political season, CRISIS OF CHARACTER’s Gary J. Byrne. And hold onto your hats, when we unveil our new segment, FOUR BROADS TALKING with four brilliant, accomplished, dynamic, and witty panel members: Sheila Weller, Lisa DePaulo, Lisa Schiffren and that broad of all broads, our own Halli Casser-Jayne. While serving as a member of The Uniformed Division of the Secret Service, Gary Byrne protected President Bill Clinton and the First Family in the White House and outside The Oval Office. 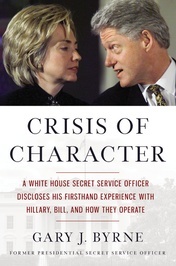 In his controversial new book, CRISIS OF CHARACTER, A WHITE HOUSE SECRET SERVICE OFFICER DISCLOSES HIS FIRSTHAND EXPERIENCE WITH HILLARY, BILL, AND HOW THEY OPERATE, Byrne portrays what he calls the personal and political dysfunction of the Clinton White House – so consumed by scandal and destroying their enemies, real and imagined – that according to Byrne, governing was an afterthought. Politics, election 2016, books, author, Hillary Clinton, Democrats, Republicans, Independents, Bill Clinton, Donald Trump, abortion all on The Halli Casser-Jayne Show, Wednesday, June 29, 3 pm ET. For more information visit Halli Casser-Jayne dot com.